Stutterheim hit everyone’s radar when Kanye West wore the brand’s murdered out raincoat earlier this year. Since the rain from April decided to finally arrive these past few days, we dug a little bit into rainwear maker’s collection to see what they have to offer. In addition to its outerwear, the Swedish-based brand actually has a few cool items that will help you survive more than a few inches of rain. To stay dry during the day, you can start with the Rag Socks. Made out of wool but without the itchiness. It’s getting a little warm outside, but you can save these for a chilly day. For floods, you got the Ravlunda Rubberboots. Don’t be that guy who shows up to the office in soaked wing-tips, these boots will keep you dryer than the Sahara. 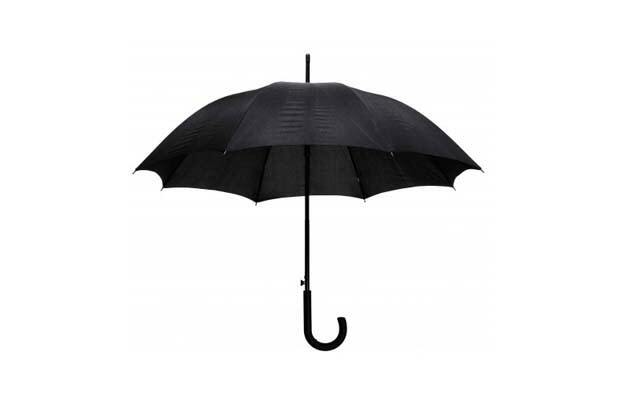 And last but not least is the Loman Umbrella. If you want to avoid the Gorton’s fisherman look, trust that these will do the job perfectly. Visit the Stutterheim website and stay dry out there.